In the late 1990s, two marine geologists, William Ryan and Walter Pitman, claimed to have found evidence that there was a catastrophic flooding of the Black Sea area about 7,600 years ago.1 Their idea became well known when they alleged that their Black Sea flood was the source of ancient flood legends and in particular, the account of Noah’s Flood as recorded in the Bible.2 Indeed, this speculative claim has proved remarkably popular in television documentaries, books, journals and lectures,3–8 which is probably why they made the claim. 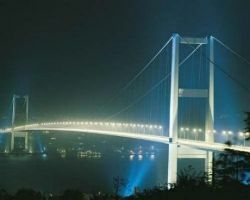 Fatih Sultan Mehmet Bridge over the Bosphorus. Earlier examinations of the claims of Ryan and Pitman concluded that, even if there was a catastrophic flooding of the Black Sea, it was definitely not the Flood of Noah.9–11 If the Black Sea flood did occur, it would not have been 7,600 years ago but more likely around 1650 BC. We based our analysis on the account of Noah’s Flood in the Bible, including the chronological information recorded there, and creationist models of the post-Flood Ice Age. From the limited geological evidence Ryan and Pitman presented, we felt that they had made a good case for a sudden drowning of the Black Sea and we had no reason at the time to challenge that conclusion. Now, an international research team have reported additional geological findings from the region and conclude that there never was a catastrophic flooding of the Black Sea as Ryan and Pitman proposed. 12,13 It seems that the whole idea of a Black Sea flood may evaporate completely. According to Ryan and Pitman’s hypothesis, the Black Sea was originally a freshwater lake, some 110 m lower than today and isolated from the Mediterranean Sea by a land ridge across Bosporus Strait (Figure 1). Supposedly, about 7,600 years ago, rising water levels in the Mediterranean Sea breached this land barrier and flowed catastrophically into the Black Sea, rapidly raising it to its present level. The force of the watery cascade is alleged to have swept away the soil and debris and excavated the channel now called Bosporus Strait. Forty cubic kilometres of Mediterranean water is envisaged to have poured through the channel and into the Black Sea every day (two hundred times what flows over Niagara Falls), raising the level of the Black Sea and inundating kilometres of shoreline. By linking this event and the subsequent displacement of human settlement to Noah’s Flood in the Bible, Ryan and Pitman caught the popular imagination. In their view, the biblical record of the Flood is an embellished, distorted account of their Black Sea flood. Figure 1. Ryan and Pitman proposed that a land bridge across the Bosporus isolated the Mediterranean from the Black Sea, which contained fresh water at a level at least 110 m lower. Catastrophic breaching of the hypothetical land bridge allowed salt water from the Mediterranean to pour into the Black Sea. However, new geological investigations in the Marmara Sea, especially the exit delta (C), show that water has always flowed south from the Black Sea and not north as required by Ryan and Pitman’s hypothesis. Biblical creationists have maintained that, even if there was a dramatic bursting of the Bosporus followed by a filling of the Black Sea as proposed by Ryan and Pitman, their speculative link with Noah’s Flood fails to match any biblical detail.9 For example, Ryan and Pitman’s flood was not global as the Bible describes, but only local. Their flood did not cover the highest mountains but only rose some 110 m. The source of their floodwaters from a breached dam does not agree with the Bible, which describes fountains of the great deep bursting forth and 40 days of rainfall. Their flood did not drown all land-dwelling life on the planet hence there was no need for the ocean-liner-sized ark. In fact, it is hard to imagine how their Black Sea flood would have threatened any life, even in the local area. The rate of increase of the water level would have been so slow that animals, birds and people could have easily moved out of its way. Then, their floodwaters have not receded but have remained at the level to which they rose. Ryan and Pitman justify these contradictions by rejecting the constraints of the biblical record—by asserting that the biblical record is unreliable. CMI rejects such a cavalier attitude toward the Word of God and does not accept their linking their alleged flood with Noah’s Flood. If a catastrophic filling occurred, it would have been a local catastrophe occurring after the Flood which took place about 4,300 years ago. From extensive seismic surveys, drill cores, radiocarbon dating and fossil studies they conclude that there is no support whatsoever for a catastrophic northward flow of saline Mediterranean water into the Black Sea. In an interesting development, an international team of Earth scientists from Canada, USA, UK and Turkey has rejected entirely the idea of a sudden Black Sea flood.12,13 They base their conclusions on investigations of the ‘Marmara Sea Gateway’, which connects the Black Sea and the eastern Mediterranean (Figure 1). From extensive seismic surveys, drill cores, radiocarbon dating and fossil studies they conclude that there is no support whatsoever for a catastrophic northward flow of saline Mediterranean water into the Black Sea. Rather, from the earliest times the connection was dominated by a southward flow of water from the Black Sea into the Mediterranean, exactly the opposite flow direction to that required by Ryan and Pitman’s hypothesis. One strong physical evidence they quote for early and strong Black Sea outflow is a delta at the southern exit of the Bosporus (Figure 1), which, using the radiocarbon method, they date at 9 to 10,000 years ago. Thus, they conclude that the Black Sea flowed southward for thousands of years before the two seas were allegedly reconnected as proposed by Ryan and Pitman. Furthermore, the team found no evidence in the mud drape on the bottom of the Sea of Marmara, of erosion by northward flowing water. In their paper, the team reinterpreted the geologic evidence reported by Ryan and Pitman. They say that the change in marine fauna on the shelf regions of the Black Sea from fresh-water mollusc to salt-water mollusc does not represent a sudden filling of the Black Sea with marine water from the Mediterranean. Rather, it represents the time when the density interface between the fresh surface water and the saline deep water in the Black Sea gradually rose above shelf depth, allowing open-marine fauna to live in these areas (Figure 2). Figure 2. According to the international research team, the observed change from freshwater mollusc to marine mollusc on the Black Sea shelf was not due to a sudden filling with Mediterranean water. Rather, the level of the Black Sea remained constant and the change was because the interface between the fresh surface water and the salty deep water rose above shelf level. What are we to make of these latest claims? First they illustrate how conclusions can change dramatically when new geological evidence comes to light. That is why we always put our trust in the reliable word of God. If any scientist claims to have found evidence that contradicts a plain reading of the Bible, we know immediately that we can reject such a claim. As far as the Black Sea flood is concerned, if the new evidence holds up to scrutiny then the Black Sea flood will evaporate entirely. However, even if the new claims by the international team do not hold, we can still say with confidence that the Black Sea flood has nothing to do with the global Flood described in the Bible. So there are good lessons to be learned here. We should not blindly accept any claim before it is properly assessed, including the evidence on which it is based. When we examine Ryan and Pitman’s work we can say confidently that their claim about Noah’s Flood is wrong. Initially their geological work looked reasonable but now even their geological interpretations are under challenge. Either way, their claim about Noah’s Flood is wrong because it does not agree with the details recorded in the Bible. The Noah’s Flood Hypothesis proposed by Ryan and Pitman generated much interest in the media with headlines such as ‘Proof of Noah’s Flood at the Black Sea?’ Now that their hypothesis has been refuted, will we see headlines such as ‘Proof that Noah’s Flood never happened’. Given the propensity of the media and our culture to attack the authority of the Bible, it certainly would not be surprising. But such headlines would be wrong. Ryan, W.B.F., Pitman, W.C., Major, C.O., Shimkus, K., Moskalenko, V., Jones, G.A., Dimitrov, P., Gorur, N., Sakinc, M. and Yuce, H., An abrupt drowning of the Black Sea Shelf, Marine Geology 138 (1–2):119–126, 1997. Return to text. Ryan, W. and Pitman, W., Noah’s Flood: The New Scientific Discoveries About the Event That Changed History, Simon & Schuster, 1998. Return to text. Noah’s Flood, Archaeology and Anthropology Network, BBC Television, 1996.<www.bbc.co.uk/horizon/noah.shtml>, 22 November 1999. Return to text. 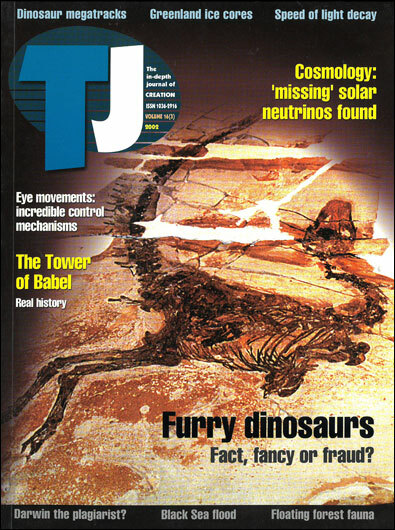 Mestel, R., Noah’s Flood, New Scientist 156 (2102):24–27, 1997. Return to text. Gugliotta, G., For Noah’s Flood, a new wave of evidence, Washington Post, p. A01, 18 November 1999. Return to text. Noah’s Flood: The geological evidence, The Australian Geologist 112:11, 30 September 1999. Return to text. Pockley, P., Noah had a great flood but where is his ark? Australasian Science 20 (10):21–23, 1999. Return to text. Scientists confirm a great flood, The Sunday Times, Perth, West Australia, p. 34, 3 October 1999. Return to text. Walker, T., The Black Sea flood: definitely not the Flood of Noah, Journal of Creation 14 (1):40–44, 2000. Return to text. Proof of Noah’s Flood at the Black Sea? What has Robert Ballard really found?, 2 July 2002. Return to text. Walker, T., Pre-Flood relics on the bottom of the Black Sea?, 2 July 2002. Return to text. Aksu, A.E., Hiscott, R.N., Mudie, P.J., Rochon, A., Kaminski, M.A., Abrajano, T. and Yasar, D., Persistent Holocene outflow from Black Sea to the Eastern Mediterranean contradicts Noah’s Flood Hypothesis, GSA Today 12 (5):4–10, 2002. Return to text. Noah’s Flood Hypothesis may not hold water: Rensselaer Polytechnic Institute professor part of international research group refuting popular theory, <www.rpi.edu/web/News/press_release/2002/noahsark.html>, 28 June 2002. Return to text. Newcott, B., Bob Ballard finds proof of Noah’s Flood, <www.ngnews.com/news/1999/11/111899/ballardflood_7432.asp>, 23 November 1999. Return to text. Stone, R., Black Sea flood theory to be tested, Science 283(5404):915–916, 1999. Return to text. Chamberlain, T., Exclusive interview: Ballard on oldest deep-sea wrecks, <www.ngnews.com/news/1999/06/062999/ballardinterview_4059.asp>, 22 November 1999. Return to text. <www.nationalgeographic.com/blacksea>, 23 November 1999. Return to text. Dates damage Black Sea flood theory, Creation 23(2):5, 2001. Return to text. Woodmorappe, J., Much-inflated carbon-14 dates from subfossil trees: a new mechanism, Journal of Creation 15 (3):43–44, 2001. Return to text.